Breakfast Topic: What are your unrealistic WoW desires? I have a lot of unrealistic desires in WoW, stuff that would be cool but probably not in the realm of happening. I want to play as a high elf in the Alliance. I know I can go off and be a blood elf in the Horde (which I was for many years), but the stories of the Alliance and the high elves resonate with me. The high elves were decimated, but they are survivors and keep kicking, resisting the fall of their brethren blood elves and Wretched. And hey, they’re pretty. I want Silvermoon to be rebuilt without that terrible scar in the center. It’s such a beautiful place and has been forgotten by most of the players due to its remoteness and lack of flying. I want the high elves and blood elves to reconcile with the Sunwell. 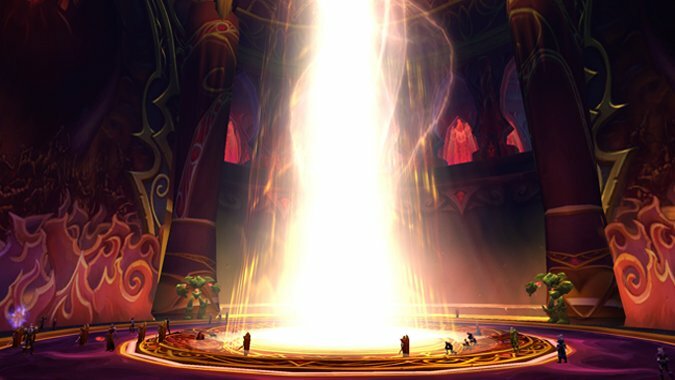 If you’ve done the Quel’Delar questline, they kind of do (well, if you’re a blood elf), but that doesn’t extend to anything beyond that single phased quest. I would be so happy if the Sunwell was a playable area where high elves and blood elves could visit. And here’s the doozy: I want Lordaeron to be reclaimed…by none other than Calia Menethil, rightful heir to the throne of Lordaeron. I’m not sure if Lordaeron ever followed salic succession, but I imagine they’d be more male-preference primogeniture which would allow Calia to inherit since Arthas is no longer alive. The remaining people of Lordaeron need a leader, and who better than the daughter of their beloved king. Sorry, Forsaken, those poor Lordaeron folk terrorized in the Plaguelands pull at my heartstrings. So, what do you want to happen in WoW? I won’t judge you for dreaming.